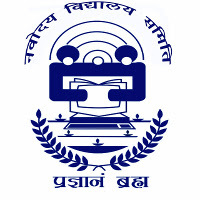 Navodaya Vidyalaya Samiti NVS Recruitment 2019 job notifications announced for Post Graduate Teachers (PGTs) & Computer Operator. The detailed eligibility and application process are given in below. Master’s Degree from a recognized University with at least 50% marks in aggregate in the relevant subjects. Degree from a recognized Institution/University. Skill in word-processing and data entry with a one year Computer Diploma from a recognized Institution. For Computer Operator, the selection will be done on the basis of the performance of the candidates in the written examination only. How to Apply for Navodaya Vidyalaya Samiti NVS Recruitment 2019? All interested and eligible candidates can apply for this position in online from 15 January 2019 to 14 February 2019.